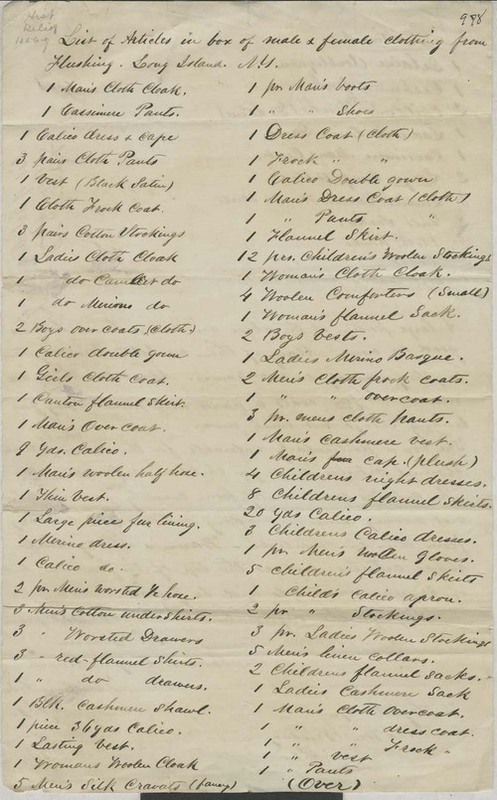 This is a detailed list of the articles of clothing sent to Kansas by the First Congregational Church in Flushing, New York. It includes dresses, frocks, coats, skirts, pants, drawers, shirts, socks, vests, boots and gloves as well as other items. The pastor of the church, S. Bourne, emphasized the quality and durability of the clothing.